Follow Snow Monster on Twitter @SnowMonsterCT. 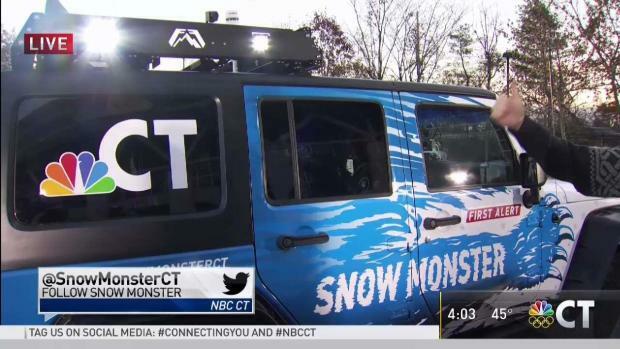 NBC Connecticut on Thursday unveiled Snow Monster, its new state-of-the-art weather vehicle. This one-of-a-kind Jeep Wrangler 4x4 will take to the roads of Connecticut immediately, gathering and delivering meteorological data to bring local viewers the most accurate weather information when they need it the most. One feature that sets Snow Monster apart from the competition is its ground temperature sensor, which will provide important data relating to winter road conditions. The timing is perfect as we head into the volatile and changeable weather conditions of the winter months. 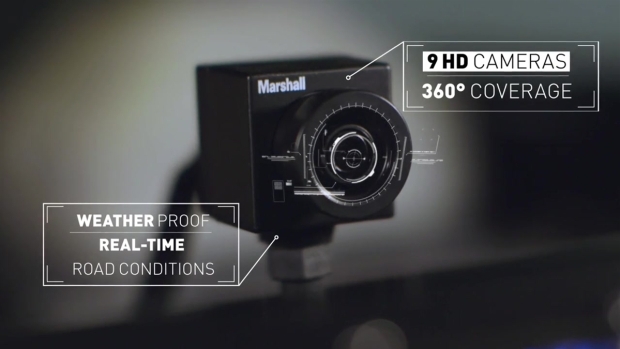 Snow Monster is loaded with 9 onboard high definition cameras, offering spectacular 360 degree angles of weather and road conditions. During every weather event known to New England, Snow Monster can go anywhere with its 4 wheel drive capability, off-road shocks and beefed up suspension. 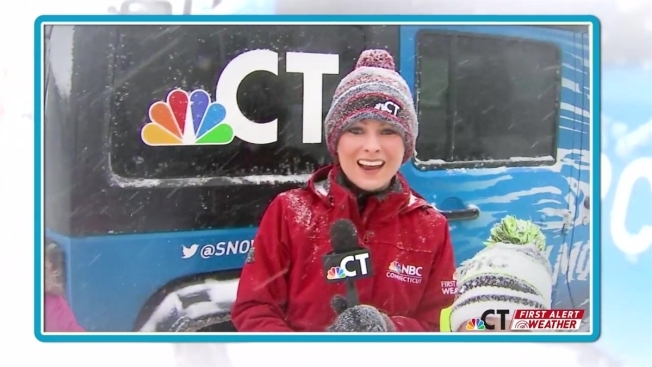 Expertly designed by NBC Connecticut Technical Manager Jack Kane, it is the only local weather vehicle equipped with a ground temperature sensor, the device also used by the Connecticut Department of Transportation when assessing road conditions. Like its predecessor First Alert 1, Snow Monster can measure barometric pressure, wind direction, wind speed, wind chill, air pressure, relative humidity and more. Delivering accurate weather information and forecasts is taken up a notch with new technology. The addition of customized tools for enhanced weather data gathering and telestration capability allows First Alert meteorologists to better illustrate weather conditions in towns all over Connecticut. Knowing how important weather is to local viewers and their families especially during the winter months, Snow Monster will embark on an extended tour of schools and communities around the state, giving viewers a firsthand look at the vehicle that will help meteorologists bring them the most accurate forecast in Connecticut.